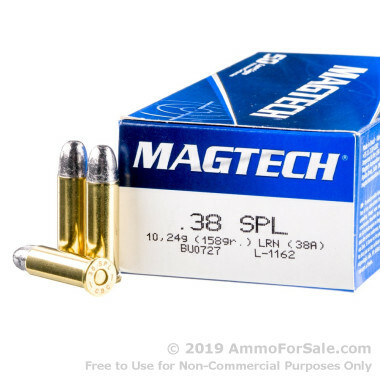 Since 1926, Magtech has been producing ammunition that is used and sought out by dedicated shooters all around the world. Their plant is located in Sao Paulo, Brazil, and they distribute their products in the United States through a center in Minneapolis, Minnesota. They have a shining reputation for the production of high-quality ammunition, and for good reason. Magtech is one of the rare vertically-integrated plants, meaning they actually produce all their components at their own factory, from primers to powders to projectiles to brass. That way they’re able to monitor every step of the process and give you ammunition unlike any other. 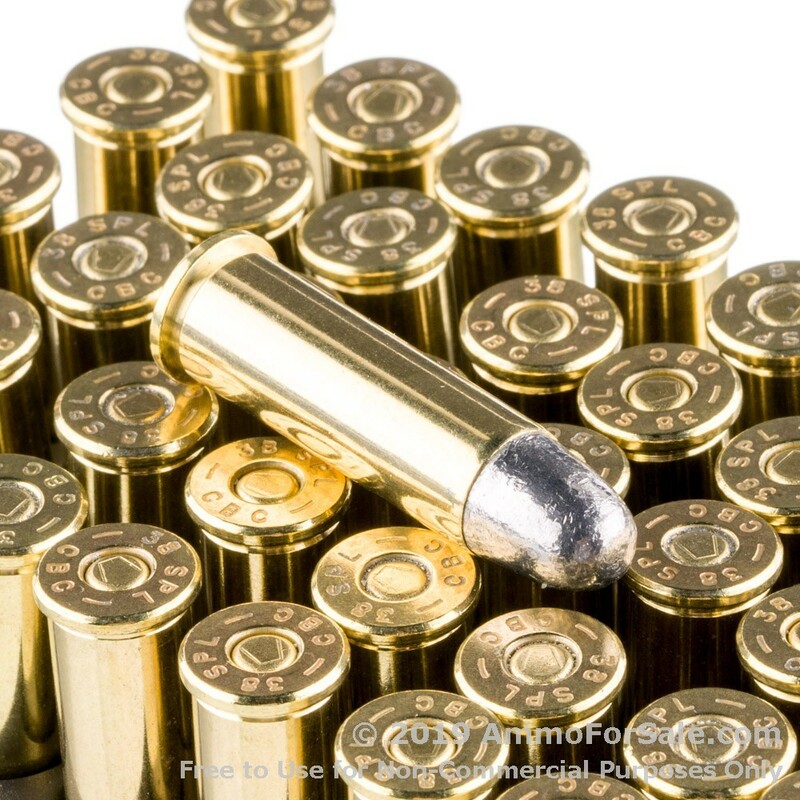 If you have a .38 Special, this target ammunition is for you. 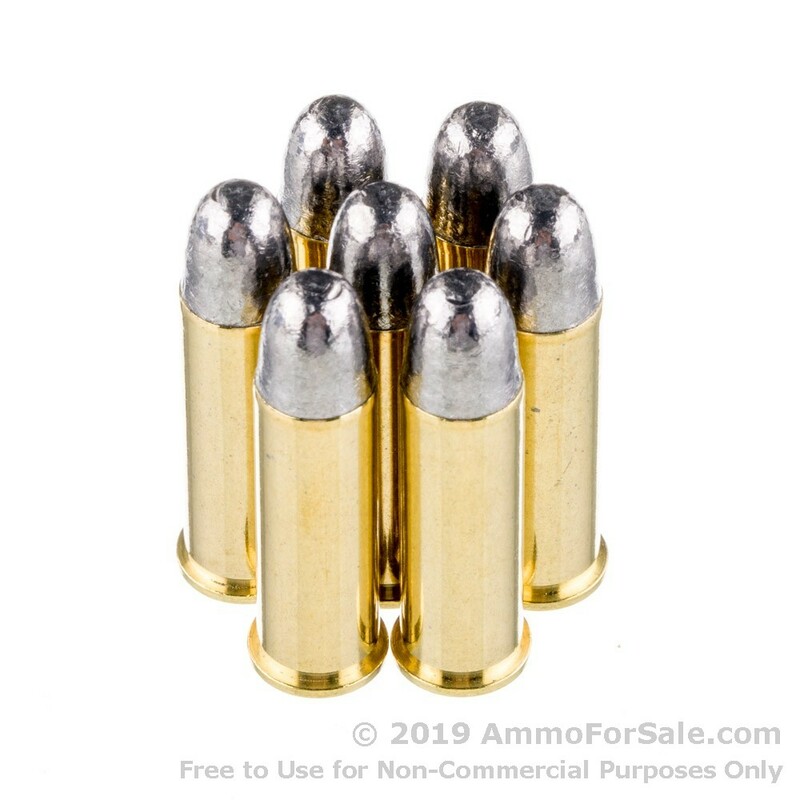 Magtech produces it in new-production brass cases with boxer primer, so you can reload, and it’s designed to be non-corrosive, which is good for your gun. At 158 grain it’s right in the middle of the weight spectrum for this cartridge, making it a nice training choice. It’s light enough to maintain speed and heavy enough to hit harder and give you a stronger recoil, and that’s good because it helps to prepare you for the greater power of a defense round. LRN is best for target practice, tactical training, and plinking. This ammunition has a muzzle velocity of 755 feet per second and a muzzle energy of 200 foot-pounds. You get 50 target rounds in this box, which is the perfect size to drop in your range bag or stack in your safe for training at a later date. Training is important no matter what firearm you prefer, and it’s also a good idea to get to know your particular gun’s strengths and weaknesses. Learning how the trajectory changes over certain distances and noting the difference in the power of impacts at various ranges are good things to know about your gun. Magtech makes training affordable, so place your order, and get to know your .38 Special.